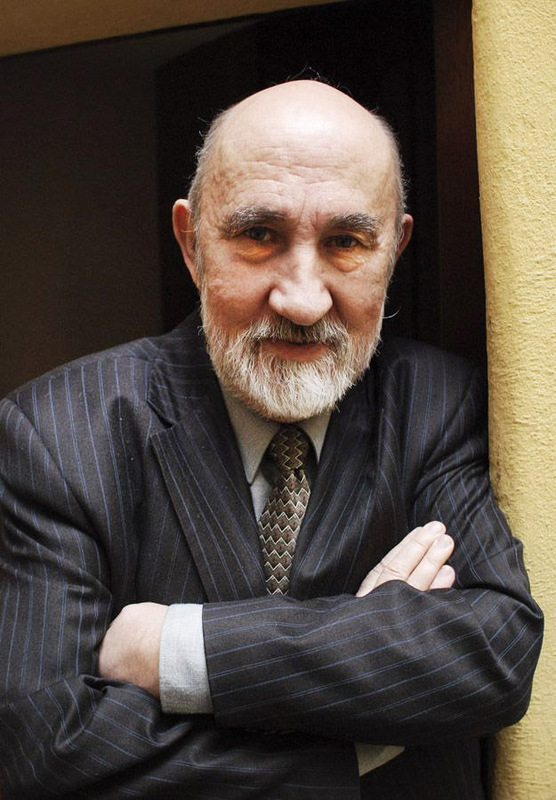 Born in Wrocław in 1934, he is one of the outstanding Polish journalists of the last few decades. One of the outstanding Polish journalists of the last few decades; his lasting interest in economics, histroy, engineering and management have always been approached through humanism. At the beginning of his career in the 1960s, he showed great talent and defined his lasting interests in economics, economic history, the history of engineering, and management. He approaches these subjects as a humanist and examines their cultural aspects. Bratkowski is fascinated by the ideas on which material culture is built and the ways in which early and present-day societies have been run. He uses the past to illuminate the present. Bratkowski is undoubtedly the leading Polish proponent of modernity; he is also regarded as a consistent positivist, or pragmatist. As expressed in hundreds of articles, his views consistently center around the same values and ideas--praise of solid workmanship and economic autonomy and freedom in a spirit of social solidarity. The reform programs and visions of a social-economic order that he formulates are always a subject for heated discussion and an important component of Polish intellectual life. Bratkowski writes with verve and his texts are marked by precision of explanation and exceptional erudition and writing talent. Bratkowski recently produced two unusually interesting book-length essays. One of them, The Springtime of Europe,is a wide-ranging treatment of the medieval idea of European universalism. Bratkowski highlights the links between medieval issues and the present-day discussion of European integration. He is also fascinated by the figure of Sylvester II, the Pope who sketched a bold vision of a united Christian Europe and was also the foremost scholar of his day. Another of Bratkowski's recent books is also highly original: The Shortest History of Poland, in which he presents the most important events and political processes in Polish history in an accessible form with all the strengths of good oral story-telling. Świat, w którym żyjemy (The World We Live In). Warsaw: Horyzonty, 1970. Skąd przychodzimy. (Where We Come From). Warsaw: Iskry, 1975; BGW, 1993. Z czym do nieśmiertelności (Ways to Immortality). Katowice: Śląsk, 1977. Oddalający się kontynent (The Continent that is Becoming More Distant). Warsaw: PIW, 1978. Nowy Marsyliusz, czyli społeczeńtwo inteligentne (The New Marcilius, or an Intelligent Society). Warsaw: PIW, 1981. Jak robić interesy razem (How to do Business Together). Warsaw: Iskry, 1997. Wiosna Europy. Mnisi, królowie i wizjonerzy (The Springtime of Europe: Monks, Kings and Visionaries). Warsaw: Iskry, 1997. Najkrótsza historia Polski (The Shortest History of Poland). Warsaw: KAW, 1998. Pan Nowogród Wielki (Mister Nowogród the Great), Warszawa: Warszawa: KAW, 1999. Podróż do nowej przeszłości (A Journey to the new past), Warsaw: Veda, 2000.